Governor Ayade raises alarm over influx of Cameroonian refugees in Cross River – Royal Times of Nigeria. 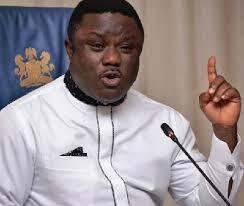 Governor Ben Ayade of Cross River has raised alarm over the increasing number of Cameroonian refugees in the state following the arm struggle and demand of Ambazonia Republic in Cameroon. Ayade said this when the President of the Senate, Dr Bukola Saraki, paid him a courtesy visit in Calabar today. The Senate President was in Cross River to solicit delegates support for his presidential aspiration. Ayade told Saraki that Cross River is currently facing security challenges with the discovery of twenty-seven illegal routes used by the Cameroonians to gain access into the state. 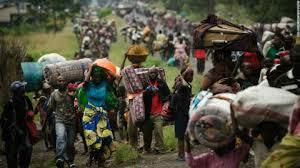 According to the governor, Cross River now has over 4,000 Cameroonian refugees. He commended Saraki for coming out to seek for the office of the president, adding that he had the capacity to lead Nigeria to a greater height. Earlier, Saraki said that Nigeria needs a digital president abreast with the new world social order. According to him, Nigeria desires a government that is private sector inclusive, adding that the time for Nigeria to witness a dynamic leadership is now.